Jamaica's Usain Bolt celebrates after winning the men's 200m final at the 14th IAAF World Championships at Luzhniki stadium in Moscow on Aug. 17. Usain Bolt made it look easy in making more history, winning the 200 meters in 19.66 seconds at the World Championships on Saturday. 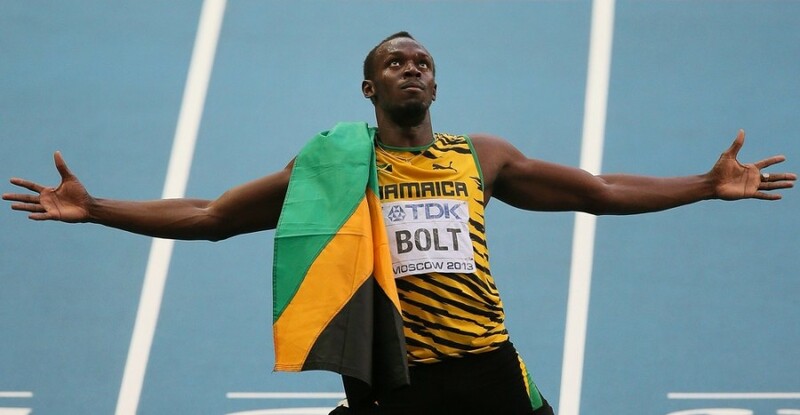 Bolt, 26, became the first man to win three world titles in the 200 and remained undefeated over the distance at major international championships since his first Olympic gold in the event in 2008. Bolt (C) runs through the turn to win the men's 200 metres final ahead of (L-R) Nickel Ashmeade of Jamaica, Adam Gemili of Britain, Jaysuma Saidy Ndure of Norway and Churandy Martina of the Netherlands. Bolt breezed past medal threat Adam Gemili of Great Britain on the turn and then cruised on the final straight so much so that silver medalist Warren Weir cut into Bolt’s winning margin. Weir was never a threat of passing Bolt in the final meters, though. 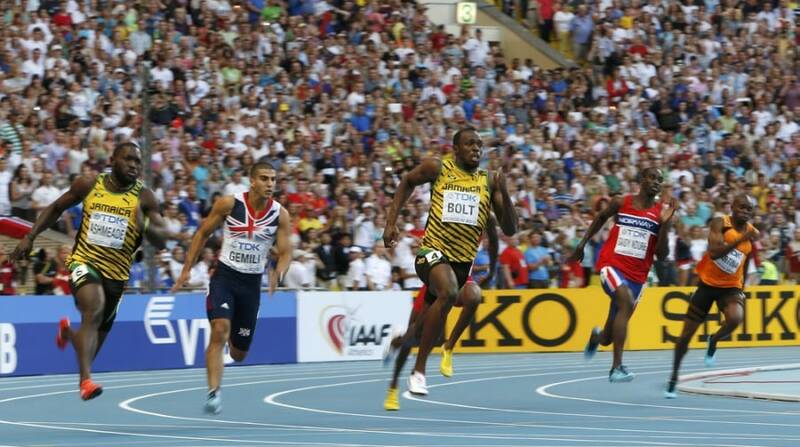 Bolt, center, crosses the finish line to win the gold medal in the men's 200-meter final. Bolt poses for a photographer after his historic win.